No minimum order quantity required. Yay! Please place your order from the fabric selections below. Once your order is received, one of our studio consultants will email you a proof of your fabric for approval before we print your order. >> Orders will be manufactured and shipped within 10 business days of receiving your approval on the proof. Make your fabric selection from the drop down menu, and tell us how you would like it layed out on the fabric, and how many yards you need. Do not forget to include the name of the file that was uploaded so we can quickly get started. 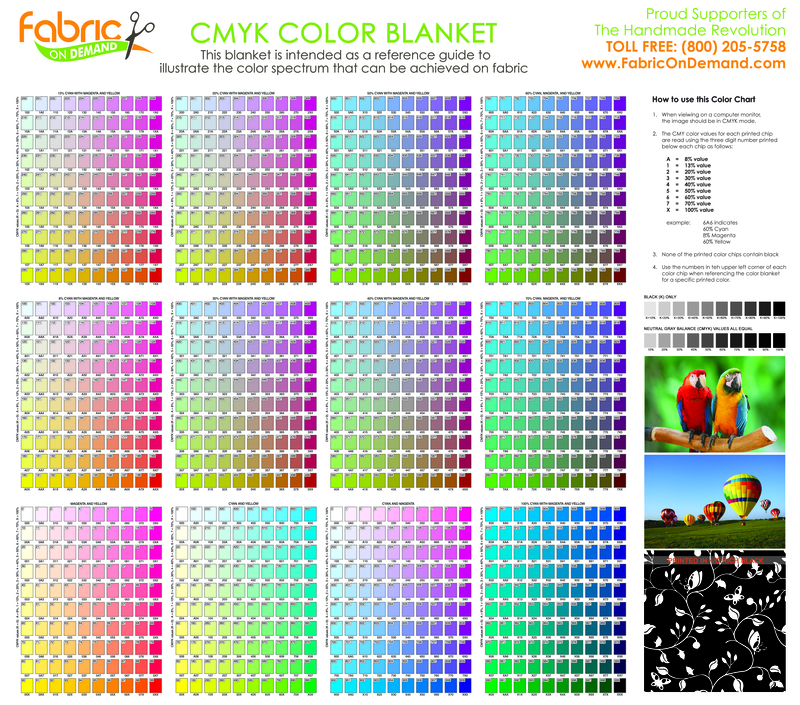 Color blankets are the most effective tool to anticipate and match colors for custom projects. Order a single yard of fabric printed with the calibration file, and use the printed fabric as a color guide when creating artwork for print. Click the photo below to preview and download our color calibration production file.